Relatives are critical of complaints that the murderer suffered. The family of two people murdered by a man sentenced to the death penalty by lethal injection showed no sympathy when his execution dragged on for nearly two hours. Jeanne Brown watched from the gallery at the Arizona State Prison Complex as Joseph Rudolph Wood, who shot her sister and father dead in 1989, died on Wednesday. She angrily brushed off his attorneys' complaints that Wood suffered during the execution. "You don't know what excruciating is," Brown told the media after Wood was pronounced dead. "Excruciating is seeing your dad lying there in a pool of blood, seeing your sister lying there in a pool of blood. That's excruciating. This man deserved it." Her husband added that the convicted killer smiled at the family before succumbing to the drugs. "It's not just about him," Richard Brown said. "It's about other people that suffered, that are still suffering. He smiled and laughed at us and then went to sleep." State doctors said Wood didn't suffer, but his attorneys claimed he did. "It took Joseph Wood two hours to die, and he gasped and struggled to breathe for about an hour and 40 minutes," attorney Dale Baich, who witnessed the execution, said in a statement, adding that Arizona now joins the list of states responsible for a "bungled execution." 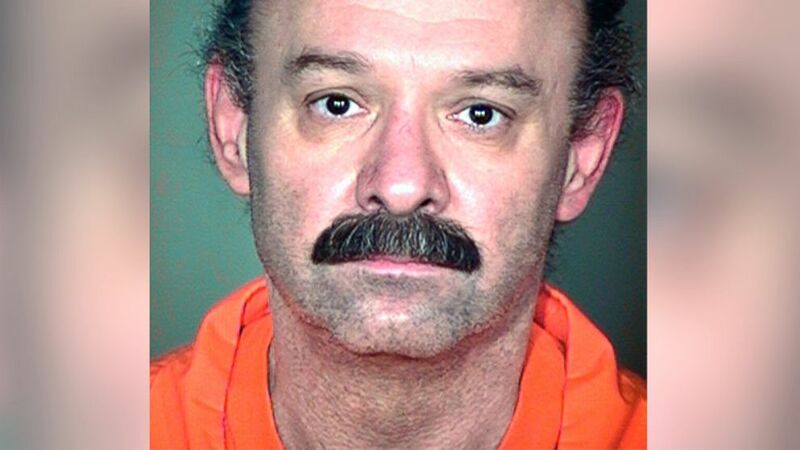 (Arizona Department of Corrections, File/AP Photo) This undated file photo provided by the Arizona Department of Corrections shows inmate Joseph Rudolph Wood. Witnesses described watching Wood gasp like a fish and hearing sounds similar to snoring. A doctor checked Wood a few times during the procedure and confirmed that he was sedated, witnesses said. An Associated Press reporter who saw the execution said Wood was gasping for nearly two hours. "At the beginning, he turned around and was looking at the gallery, was looking all around while he was being prepped," AP reporter Astrid Galvan said. "He smiled at the gallery at least once. Also looked directly at the deacon -- gave him a smile, and then had a frown on his face." Wood's case is the latest in a growing debate about the efficiency of the death penalty by lethal injections. One federal judge recently suggested a firing squad would be a more "foolproof" method. But Jeanne and Andrew Brown don't care about the drug discussion. They're just glad Wood is dead. "Everybody is worried about the drug," Andrew Brown said. "These people that do this, they deserve to suffer a little bit." "I saw the life go out of my sister-in-law's eye as he shot her to death," he added. "I'm so sick of you guys blowing this drug stuff out of proportion." Jeanne Brown said Wednesday marked the end of a long, painful journey for her family. "Nobody sees the real picture of what took place in the last 25 years," she said. "Everyone is more worried about: Did he suffer? Who really suffered is my dad and my sister, when they [were] killed." However, death penalty foes have argued, capital offenders should not suffer because the U.S. Bill of Rights bars "cruel and unusual punishments." Arizona Gov. Jan Brewer said justice was served with Wood's execution, but has ordered a review of what happened. "I am concerned by the length of time it took for the administered drug protocol to complete the lawful execution of the convicted double murderer Joseph Wood," Brewer said in a statement. "While justice was carried out today, I directed the Department of Corrections to conduct a full review of the process. "One thing is certain, however, inmate Wood died in a lawful manner and by eyewitness and medical accounts he did not suffer," she said. "This is in stark comparison to the gruesome, vicious suffering that he inflicted on his two victims -- and the lifetime of suffering he has caused their family."